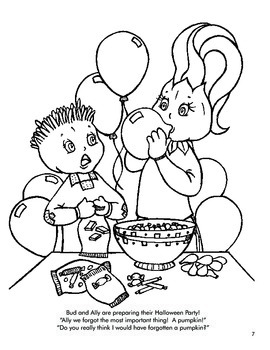 Halloween coloring book suitable for primary/elemementary grades and homeschooling. PDF 38 black and white and colour pages. 2. Individual Size: (6 inches x 6 inches 300 dpi). 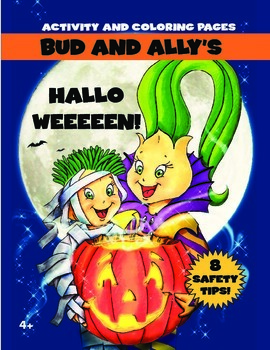 Join Bud and Ally in their Halloweeeeen adventure! 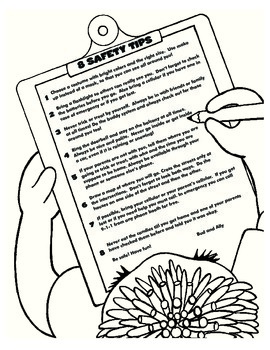 Included are arts and crafts, games and Halloween safety tips. Answers are included. 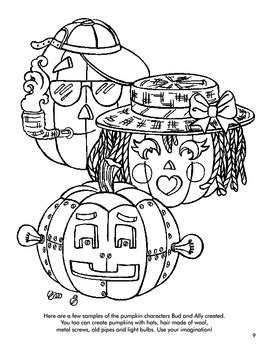 A cute little story from beginning to end about planning for Halloween, visiting the neighborhood where they find witches, frankensteins laboratory, the spooky cemetery, the haunted house, etc...36 pages of fun! You MAY use these designs for COMMERCIAL crafting and creative projects, including business cards, banners, websites, and items to sell on TPT or other sites, AS LONG AS you flattened and combine them with other things and create NEW works AND give graphics credits with link to Best Teacher Tools or AMBillustrations.